Acceptable Radiation: Bunker, bunker, who's got the bunker? 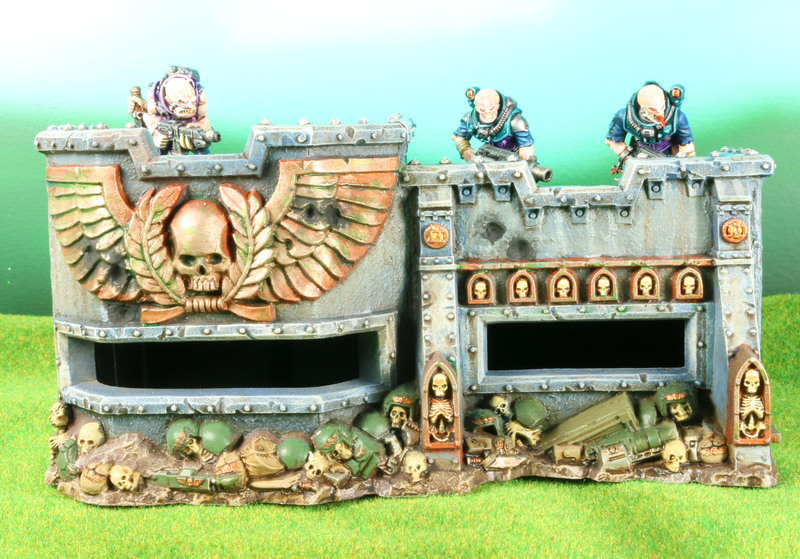 Another classic piece of terrain I've always been fond of is the classic bunkers that used to always appear in the 2nd ed. 40k battle reports. This is, unfortunately, not one of those bunkers. But it isn't a bad bunker by any means. I painted it with my airbrush, applying various grays at zenithaly higher angles. I applied streaks of grime with some oil paints. 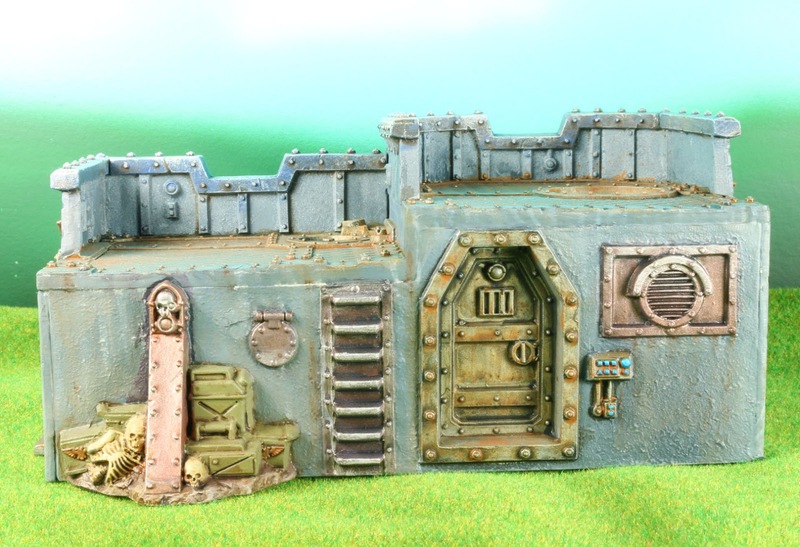 The steels were painted with GW iron breaker and had various dirty washes, both acrylic and enamel, applied. Same with the brass, only I believe I drybrushed a few highlights, going through the the range of current GW colors. Black pigments were applied around the damaged portions. The only parts I'm not happy with are the green armor pieces on the corpses. I feel like I could have gotten those better as they look way too rough. I don't think the green armour parts look all that bad mate. Not at all. These will look great on your table though. Will there be more joining them to create a system of bunkers? It's a beauty! All the details really pop. I like it. I think a quick fix for Grim Dark would just be some vignetting in post. The background looks fine, just a little cheery in good light. Eventually I'm going to paint another background with lots of greys and browns to resemble an urban environment.